Your Food Share can be any combination of Fruits, Vegetables, or Jun Key Beverages and SuperFoods. Get your Fresh, Organic, Locally Grown Food Share! Join 3 local Colorado organizations in increasing access and education around healthy organic food. Jovial Concepts provides the vegetables from local neighborhood organic lawn-to-garden projects. 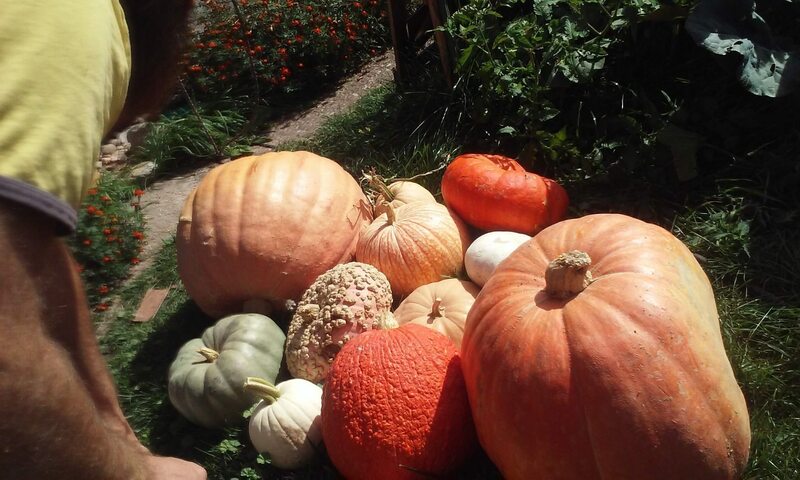 Feeding Many creates organic orchards and will be providing the fruit shares, and Jun-Key Co-op will be helping with distribution and offering delicious Jun, Superfood Soups, Roasted Seeds, Eggs, and other organic seasonal snacks! All shares will be processed through the Jun-Key Co-op and will help fund local community gardens and orchards. Choose one or mix and match! 22 weeks of 3-12 lbs of fresh, organic, local veggies. This box supports Jovial Concepts. Your weekly box will contain seasonal vegetables grown 100% organically by local volunteers. 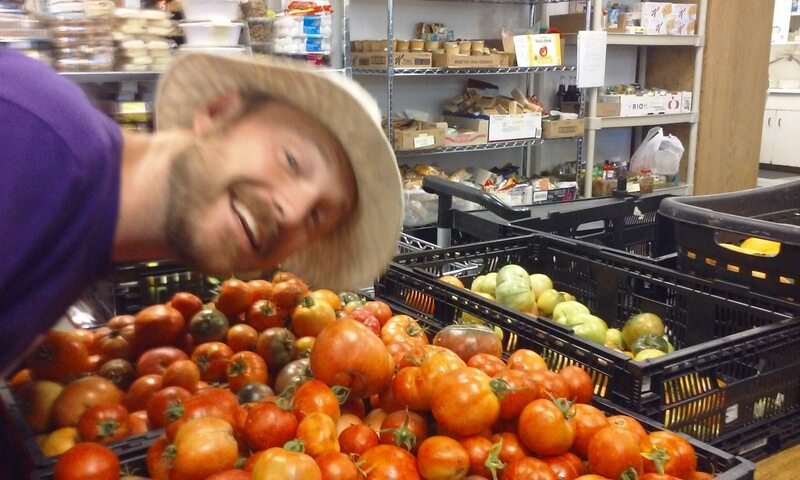 Your Food Share purchase ensures that Jovial Concepts will have the funds to continue to build school and community gardens and donate the majority of their produce to families in need. 22 weeks of 3-5 lbs of fresh, organic, local fruit. This box supports Feeding Many and community orchards. Your weekly box will contain seasonal fruits 100% organically grown by local volunteers. 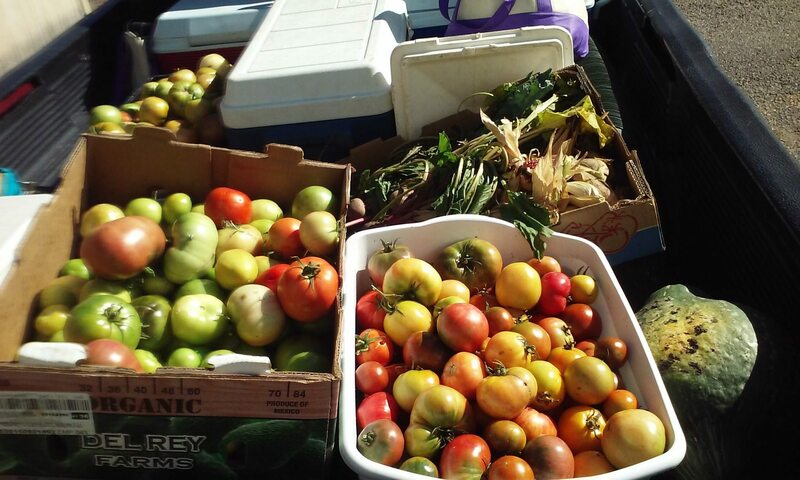 Your Food Share purchase ensures Feeding Many will have the funds to continue to build school and community gardens while donating the majority of their produce to families in need. 22 weeks of organic Jun, soups, honey, eggs, and more! This unique superfood box includes pro-biotic beverages (Jun), roasted seeds and nuts, dried fruit snacks, organic baking mixes, soups, raw local honey, local free range eggs, pickles, and Much, Much, More! Register for your share today! Please read this carefully and look for an email from [email protected] for future reference. 1. Terms of the Agreement The terms of the Agreement between Member and Growers are contained within this agreement. The Member receives a Full Share of produce for the duration of the Growing Season and the Growers work hard to create as much surplus and quality. 2. Philosophy of this Co-op Being part of the Co-op is a relationship beyond a simple exchange of Organic produce for cash. It is based on mutual respect between Food Share members and the urban garden community. It is very important that Members be mindful of the following: A) The Growers rely on income from the Co-op to operate the gardens, orchards, and food kitchen. B) The Growers plant and tend crops for months before the Member sees them in their shares. Each share represents the work and attention to detail of dozens of people to seed, transplant, weed, grow, harvest, cook, prep, and box your prepaid shares. 3. Growers Responsibilities In accordance with the above described philosophy, the Growers work dutifully and in good faith to bring the Member the freshest organic produce possible. 4. Member Responsibilities To receive the freshest organic produce possible from the Growers and with a recognition that your share will be available to you as agreed upon, it is important that the Member pick up their share on their appointed day and time. Half of total share must be paid on or before July 1st and Full share paid by Dec. 31st. 5. Abandoned Shared It is our policy that any abandoned shares be donated by noon the following day, unless members have contacted us and received confirmation to pick up at another time. 6. Vacation Hold A) Members are limited to a maximum number of two (2) vacation holds per 8 week term. Please notify the Co-op coordinator via email [email protected] at least seven (7) days before you wish your share to be held. B) When members have exceeded their two (2) vacation holds or have forgotten to give the Co-op adequate notice for a vacation hold, we encourage them to gift their share to their family or friends. This is a great way for members to share the Co-op experience. Please explain to your family or friends how to pick up your share, the day and time of pick up. Members may also notify the Growers if they would prefer to donate their weekʼs share to local schools or food banks. 7. Refunds and Cancellations A) Memberʼs Policy. Member may cancel their Full Share upon written (email) notice to Growers two (2) weeks prior to July 1st. Member will be assessed a twenty dollar ($20) cancellation fee to cover administrative costs. B) Growersʼ Policy. At the Growersʼ discretion, Growers may cancel this Agreement for Memberʼs failure to follow their responsibilities contained in this Agreement. In the event of cancellation by the Growers, Growers reserves the right to decide whether to refund any pro rata share of Memberʼs fees. Member will be notified in writing (email) of the reasons for the cancellation. 8. Risk As stated above in Paragraph II, one aspect of a Co-op is that Members support their Growers. To do so, the Members share in the inherent risks of agriculture (poor weather, drought, disease, early frost, crop failure and so on) and rewards (the bounty from a good season). Growers purposefully plan for such contingencies and use growing techniques that protect the harvest, minimize risk to members and optimize the rewards: growing a wide variety of crops, cover copping, crop rotation and irrigation. We believe our Food Share is unique in that we have diversified our risk by partnering orchards, 50 gardens, and a co-op with a whole sale buying contract. In the extremely unlikely event that severe weather, disease/insect damage, or other natural disaster results in a level of crop destruction that prevents the farm from continuing its weekly distributions, Growers will notify member immediately via e-mail and will communicate via e-mail frequently with the Member to ensure that the Member is apprised of any potential disruption to their service. Member assumes the risk should Growers be unable to provide a portion of the Memberʼs shares due to any inherent risk of farming. Please reach us by email at [email protected] or by phone at 720-252-4977.